A new study examines the emotional effects that the stress caused by living in an impoverished family has on children and how it may influence their adult life. The popular saying “money can't buy you happiness" is only partly true. According to a new study, though money cannot make you happy, the higher stress levels of children in impoverished families impacts the activity in the prefrontal cortex and the amygdala, areas of the brain which are associated with emotion regulation. Essentially, the effects of being poor as a child can negatively correlate to positive emotional states. These effects can last the child's entire life. Participants were measured at age nine and at age 24 for activity in these areas. Their findings were clear: the key development in those regions of the brain were greatly effected and influenced the child's emotional reactions later in life. “Chronic stress changes the body's stress response system through a stress hormone called cortisol," said Dr. K. Luan Phan, senior author of this study and professor of psychology at the University of Illinois at Chicago College of Medicine, “that might lead to a biological vulnerability to depression and anxiety." “One often thinks that poverty as a child is a risk factor, but it might not have a long lasting effect all the way to young adulthood," said Phan. “Our data suggests that there are long lasting effects." These effects can range from mental illness to altered reactions to emotional stimuli, and can lead to academic, social, and mental issues through the child's entire life. Housing: Poverty is linked to substandard housing, living in unsafe neighborhoods, and homelessness. 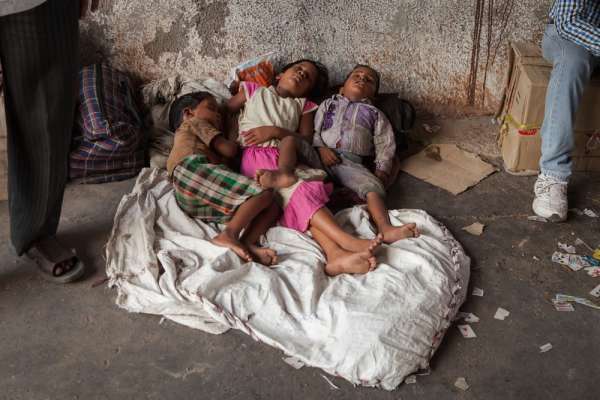 Physical health: Impoverished children are more likely to be malnourished, have a lack of access to health care, be cared for inadequately, suffer from abuse and neglect, and be anemic, asthmatic, and pneumonic. Mental health: Children living in poverty are more likely to experience developmental delays, chronic stress, memory problems, problems with aggression, and attention deficit/hyperactivity disorder (ADHD). Education: By age three, impoverished children are estimated to be nine months developmentally behind their wealthier peers. At 14, the gap widens to five semesters. By age 16, impoverished children receive grades that are 1.7 grades lower than their middle class peers. Though the impoverished children had different chemical responses in the emotion-regulating portions of the brain, “none of the participants in this study had a psychiatric illness at the age of 24," Phan said. But this does not mean there isn't a link between poverty and anxiety. In another study, researchers concluded that, “repeated experiences of poverty over a child's early life course are associated with increased levels of poor mental health," and, “family poverty predicts higher rates of adolescent and young adult anxiety and depression." In developing countries, the outcomes are similar. Another study suggests that women, who are more poorly educated than their male counterparts, often suffer anxiety and depression due to poverty and a lack of education. 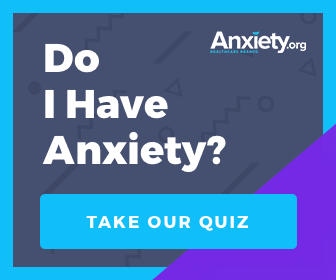 For anxiety related issues, our ABCTracker™ can help you monitor your stressors, recognize patterns, and connect you with a therapist. Joining a free support group through Mental Health America can help you cope and connect with others. Seeing a primary care physician, who can refer you to a mental health professional or counseling center with a sliding fee scale. Seeking help from a local university with a graduate program in social work or clinical psychology. Often times, these programs charge less than the going rate because the graduate student does not have a license. However, they are closely supervised by a team of licensed social workers and psychologists. If there is an emergency, the 24-hour National Suicide Prevention Lifeline at 800-273-TALK, which will connect you to a crisis center in your area.